After learning about our son’s Creatine Transporter Deficiency (CTD) this past January, we started down the path to begin supplementing with a set of amino acids. When you’re diagnosed with CTD and there is no treatment that reverses its symptoms, this is the most common treatment you can try, apart from therapies and other methods. Whether or not it makes any difference for a CTD child is inconsistent, and varies greatly depending on who you talk to and which scientific study you read. Regardless, for us, it was one of those things that we knew we’d rather try than miss out on a potential opportunity – and they have since become part of our everyday life. Our son Ben, just turned five this October and has moderate to severe delays in fine and gross motor, and speech. He is currently non-verbal and does not suffer from seizures. Overall, he is a happy, sweet boy who is unlike any other child his age – as unique as they come. 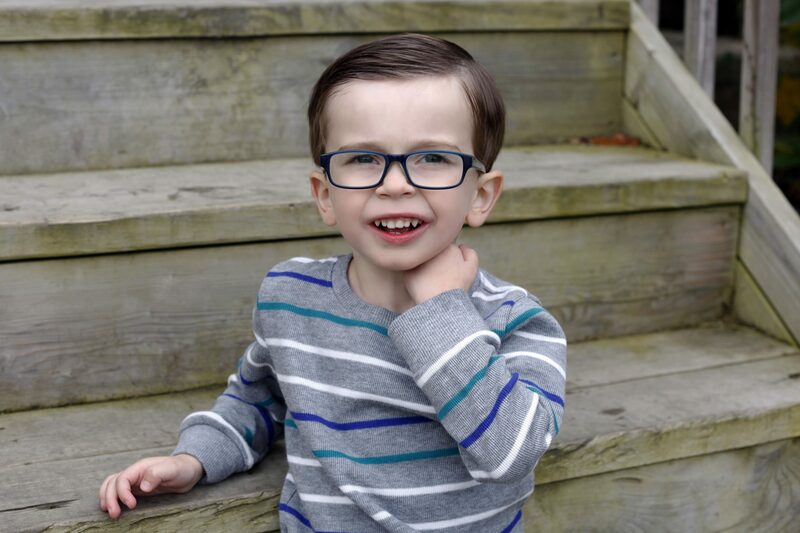 Ben’s body produces creatine, but the transporter that gets it across the blood-brain barrier doesn’t function properly, so creatine can’t be used by his brain to allow him to develop like a normal child. The hope is that a combination of supplements can help more creatine pass the blood-brain barrier, and therefore improve some of the symptoms of his condition. To start the process Ben got a Magnetic Resonance Spectroscopy (MRS), which is like an MRI but it looks at metabolic changes in the brain and can detect the presence of creatine. This was our baseline measurement, which will be used to see if supplementing is working after six months’ worth of doses. We started supplementing him in July and just started our fourth month. Let me tell you how it works. Every month I go to the pharmacy and get a 30-day supply of arginine. They measure out each dose of the arginine needed for three doses a day. At home, I use an empty vial and a gram scale to measure out the needed amounts of glycine and creatine (which I have to purchase on my own) and mix them together with the arginine. Ben takes the supplements three times a day. We mix a little apple juice into a large syringe to administer it. He doesn’t love the taste because creatine will not dissolve, but he knows what it is and is happy to take it when I offer it to him. It’s been an adjustment, but like anything, it’s easy once you have a rhythm and routine. I will say this – insurance only covers the arginine, so it’s not a great situation money-wise, but it’s not terrible either thanks to ACD’s discounts through a supplier. Now for the big question – is it working? The answer is – I’m not sure, but some things have changed. Ben is a lot more interested and attentive. He can stay engaged in activities longer. He has better gross and fine motor skills. For instance, he now walks up and down the stairs by himself and he is climbing, jumping and running more. He now uses a spoon on his own. He is doing puzzles and working more with his LAMP program (an iPad app used for speech). Ben is no longer in a crib – he just transitioned to a toddler bed. He is also growing well. I swear he was using the words “up” and “mom” when he was playing a game with me this week. And more surprisingly, his teachers say that he is doing better than a few other kids in his class at school. There are other small gains like this, and they may seem trivial. But to a CTD child and their family, every small gain is a huge victory. Are these changes because now he’s five? Or these were the things that were going to come along when they did anyway? Or are the supplements providing this boost for Ben? I just don’t know the answer. But what I do know is that these things happened after we started supplementing, so I’m not about to stop doing it now. The proof will show itself in the next few months when the doctor orders the next MRS and science tells us the answer. For now, I’m glad the supplements are a part of Ben’s life because only good stuff has happened since we started them. I just hope it stays that way!